WV-ASF950—Deep Learning FacePro™ Windows® server-based facial recognition and analytics platform featuring high-speed face searching and matching. The WV-ASF950 FacePro™ Facial Recognition is a software solution and software engine that automatically performs verification of a person's face using live video streams or digital images from Panasonic i-PRO cameras to match against a database of enrolled faces and perform notification and alerting of face matches. Boasting a real-time processing capacity of up to 20 cameras per server, FacePro can execute high-speed searches of up to 30,000 registered reference faces on both live and recorded video, and each server can store up to 10 million detected face images depending on configuration. For flexibility, reference face images can be registered from source video or imported via BMP, JPG and PNG files and can be searched for a match in a matter of seconds. FacePro also provides advanced age and gender analytics reporting and the ability to set flexible alarm triggers on matched faces using live cameras. The platform can support multiple simultaneous client sessions with Panasonic’s WV-ASM300W and WV-ASM970W software applications. 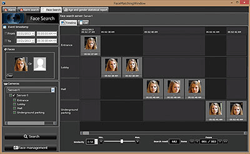 In addition to live-camera face matching, FacePro features the ability to perform searches and display face matches from a database of historical captured faces. 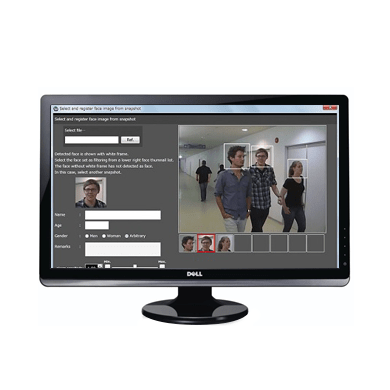 Face match results are displayed for each camera in the system and in chronological order, enabling you to quickly track a person of interest moving through your facility. More refined face searching can be performed by specific camera or date. How Do I Benefit from FacePRO Facial Recognition? It reduces costs by eliminating personnel to monitor entrances. It provides instant notification, and lowers your risk by reducing and preventing violent confrontations during capture, as well as by instantly alerting you of unwanted persons entering your facility. It’s simple and easy to use and does not require physical contact, and it’s the only feasible solution to use with large crowds in your facility. In addition, it improves your service and sales potential by recognizing customers. Its analysis capabilities permit you to count the number of detected faces and evaluate their age and gender, displaying the results on the screen as a statistical graph. 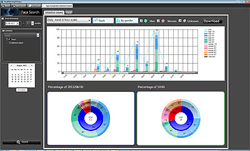 This graphical view of a visitor’s age and gender can be provided with a 15-minute, 30-minute, hourly, daily, weekly and monthly view for retail and marketing applications. This statistical data can be saved as a CSV file for analytical use. If you have questions on previous versions of FacePRO, please contact us.